Go camping prepared! 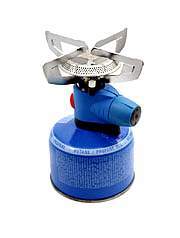 Review these camping supply lists of the camp kitchen gear items you'll need on a camping trip. Included is a camping check list for the campfire, cooking gear, tableware, kitchen supplies, and cleaning items. Use the list on your next camping trip to be sure you don't forget anything important. If you find anything important that we've missed from this list please let us know on our Important Camping Check List page and we will make sure to add it in. Print off this page and tick stuff as you pack each item. Another great idea is to use a camping box to store all your gear in, that way your not searching all over for this and that, just pack fresh food and off you go!